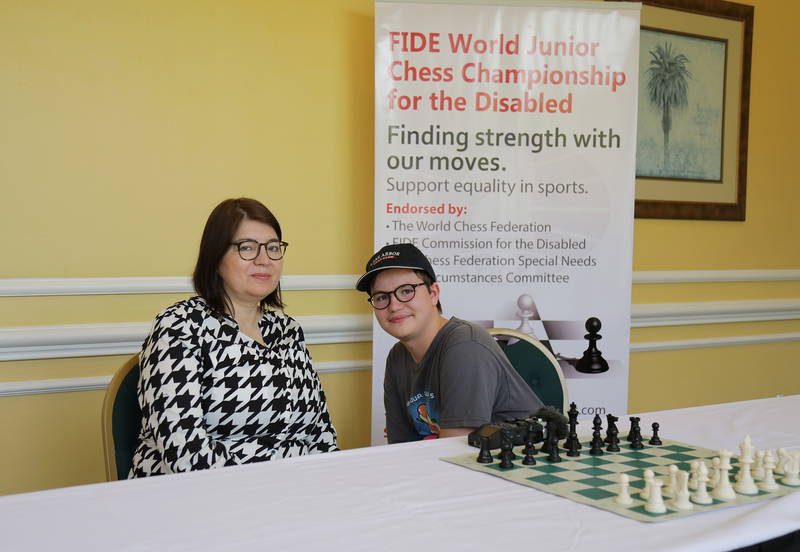 FLORIDA (USA) – Raphael Johannes Zimmer from Germany wins the 1st FIDE World Junior Chess Championship for the Disabled with a perfect score of 7/7 points. (Back; l-r) William J. Broich, Chief Arbiter; Steve Lampkins, Arbiter; Martha Underwood, Deputy Chief Arbiter; Phiona Mutesi; Griffin McConnell; GM Thomas Luther; Raphael Johannes Zimmer; Natasha Morales; Jesus Adrian Barrios Chamorro. (Front; l-r) Wasswa Sharif Mbaziira; Dorian-Dumitru Draghici; Paul Tortajada and Samarth Jagadish Rao. 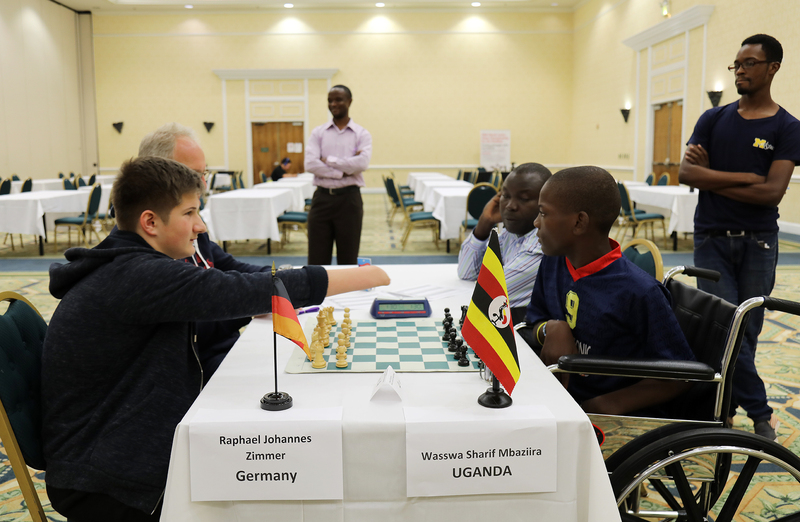 Raphael Johannes Zimmer (Germany) and Wasswa Sharif Mbaziira (Uganda). 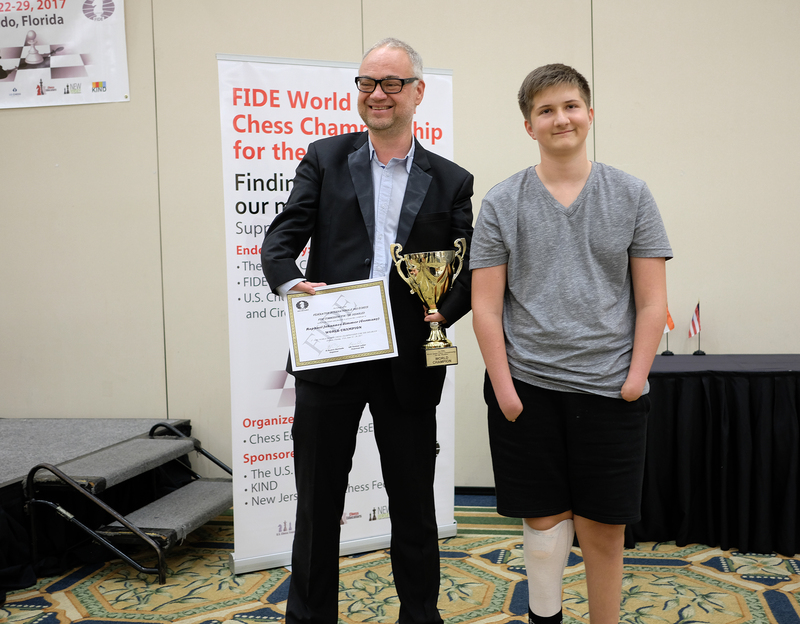 GM Thomas Luther and the Champion Raphael Johannes Zimmer (Germany). 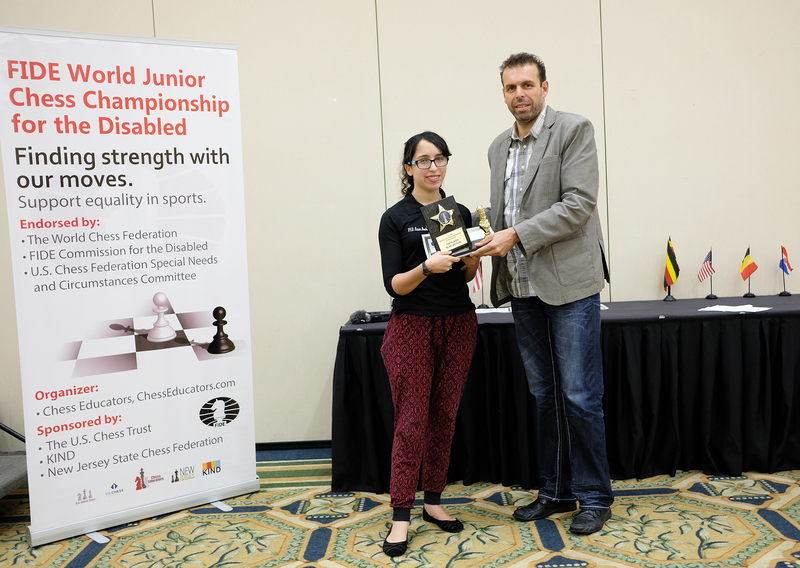 The Top Blind Player in the 1st FIDE World Junior Chess Championship for the Disabled was Natasha Morales (Puerto Rico) and the Top Physically Disabled Player was Samarth Jagadish Rao (India). (l-r) Samarth Jagadish Rao (India); Jagadish Rao (India); Zbigniew Pilimon. WIM Natasha Morales (Puerto Rico) and FIDE Social Action Commission Councillor, Paris Klerides (Cyprus). 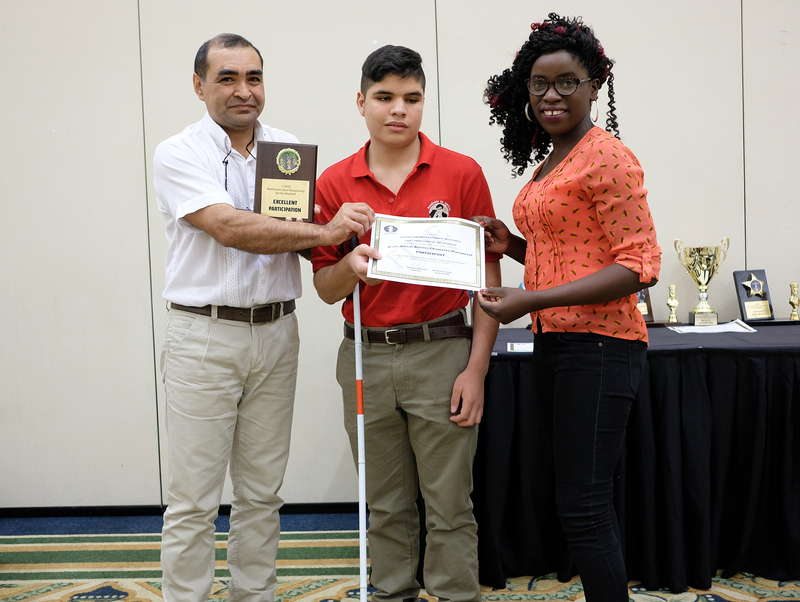 (l-r) Hector Aristides Barrios Jara; Jesus Adrian Barrios Chamorro (Paraguay) and Phiona Mutesi. 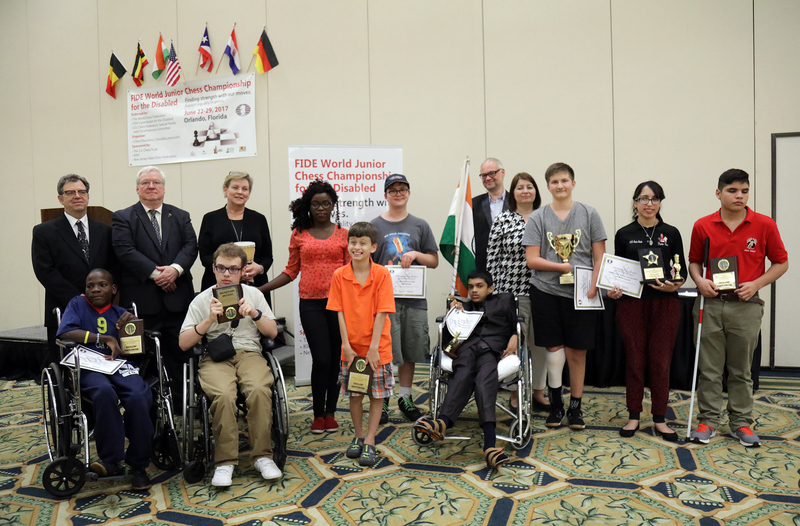 In the first edition of this World Junior Chess Championship for the Disabled; eight (8) players from seven (7) countries participated in a 7 round robin tournament. 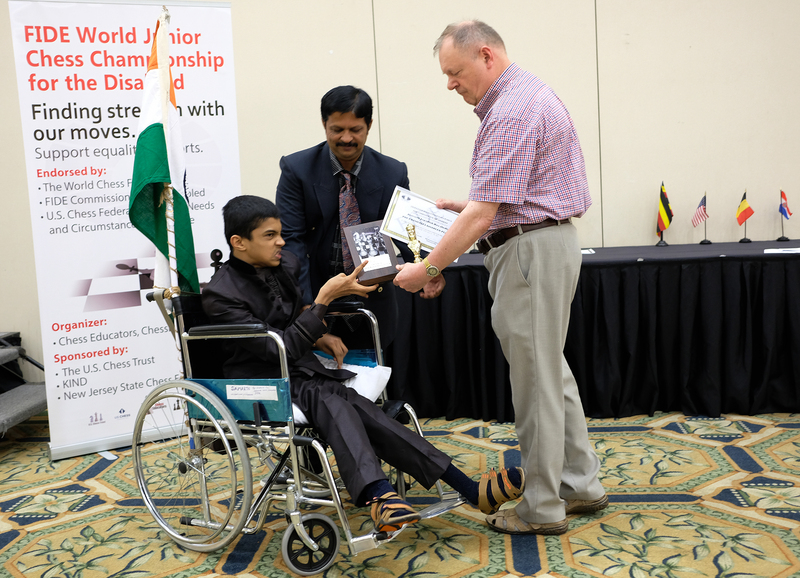 Side events included an International Open Tournament, which was held in the same playing hall to promote inclusion and a master training chess camp. IO Beatriz Marinello interviews Griffin McConnell (USA). IO Beatriz Marinello, Dorian-Dumitru Draghici (Belgium) and Phiona Mutesi. 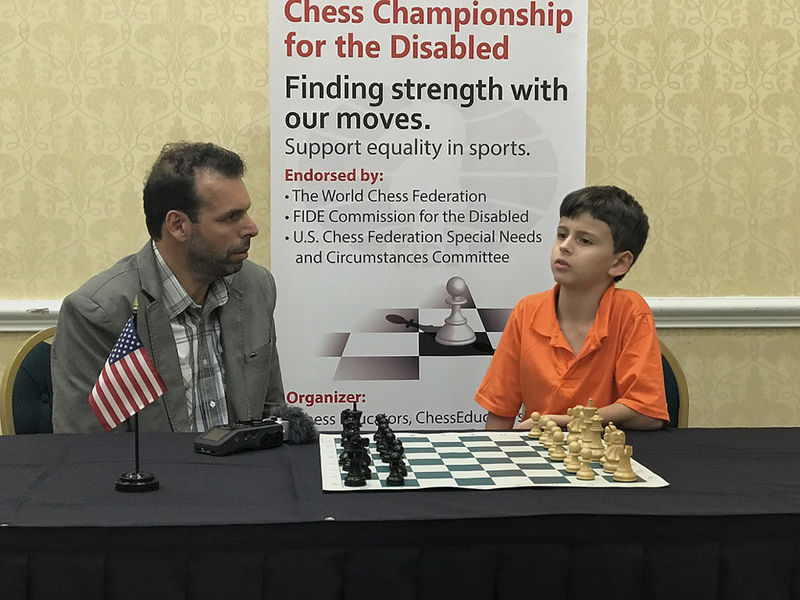 Paris Klerides, FIDE Social Action Commission Councillor interviews Paul Tortajada (USA). 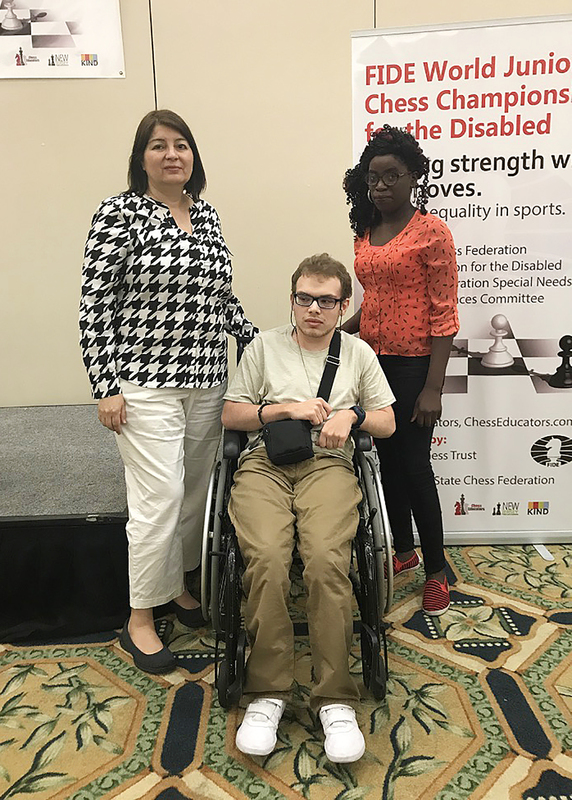 This historic event gave the organizers and the families an opportunity to learn how to even the playing field for players with disabilities. Players from Belgium, Germany, India, Paraguay, Puerto Rico, Uganda and the USA participated in the event. Congratulations to all of the players! The Second Edition of this tournament will take place in the United States in 2018.